This beautiful ring features delicate vines adorned with sparkling round diamonds and marquise diamond buds that reach for the center gem. The perfect combination of natural elegance and breathtaking sparkle, this engagement ring will delight nature lovers everywhere. 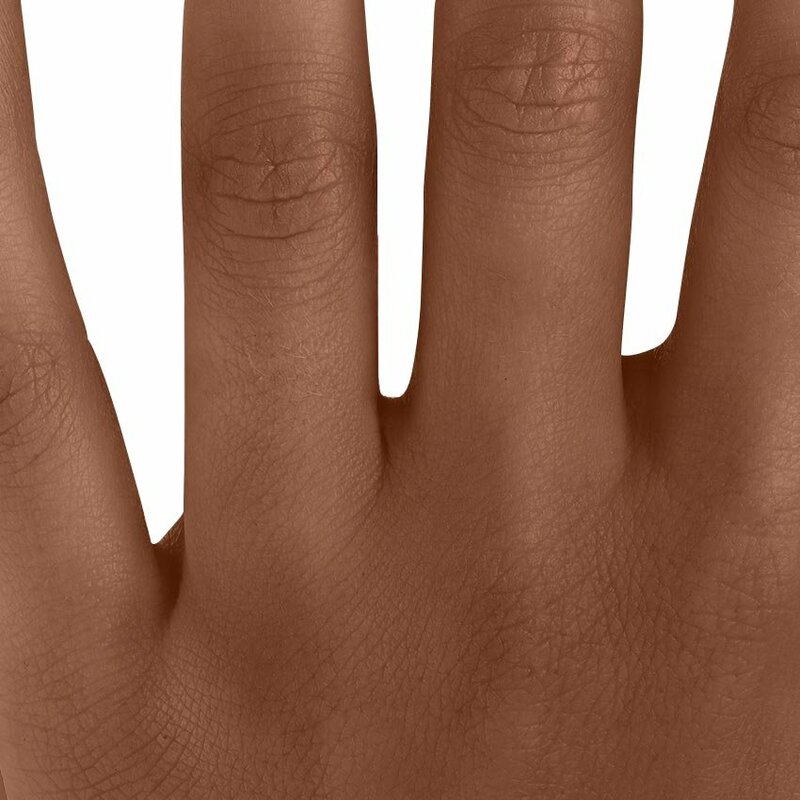 I think this ring is absolutely gorgeous. 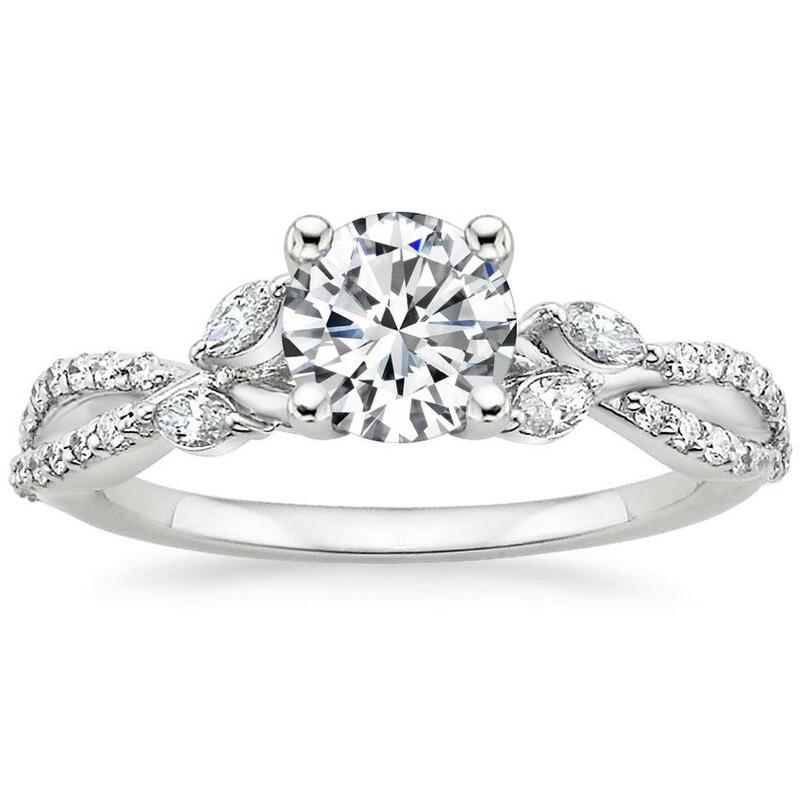 I love the leaf-shaped diamonds around the main stone and the band is so delicate looking. 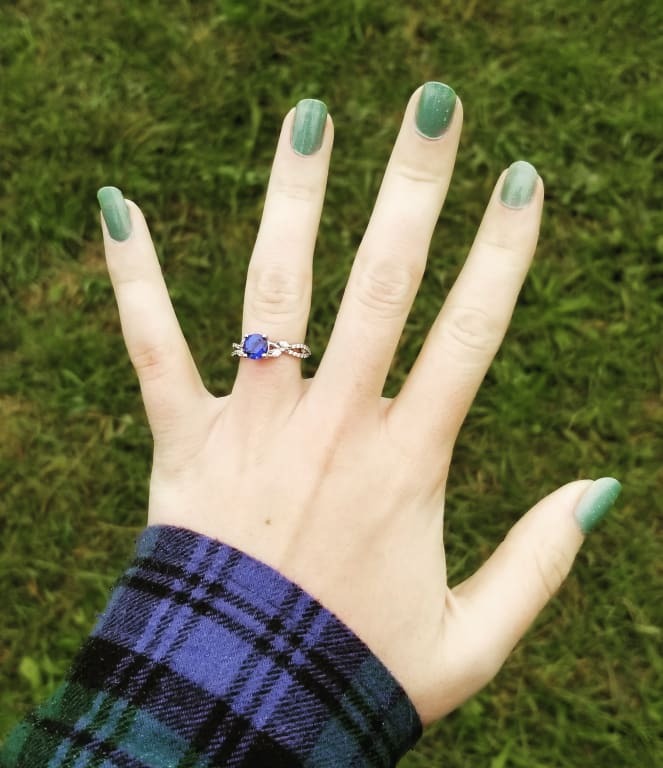 My fiance chose a lab-grown sapphire for the center stone, which I think makes the diamonds in the band really pop. 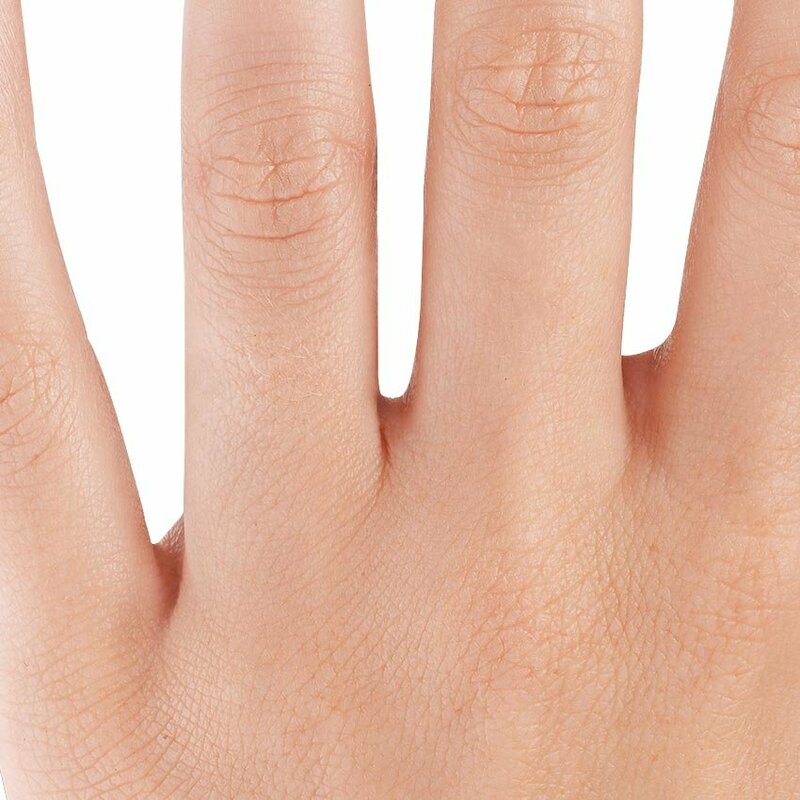 The ring is very eye-catching and unique. 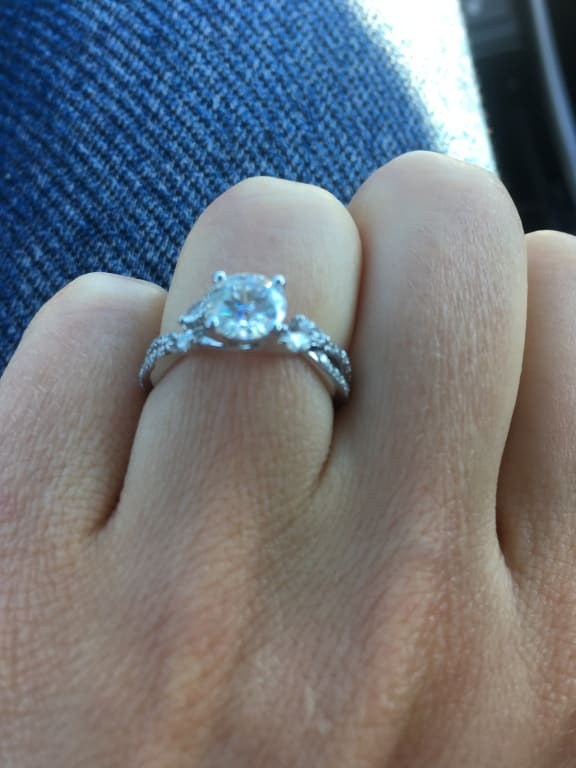 I'm so happy with the ring and my fiance's choice! 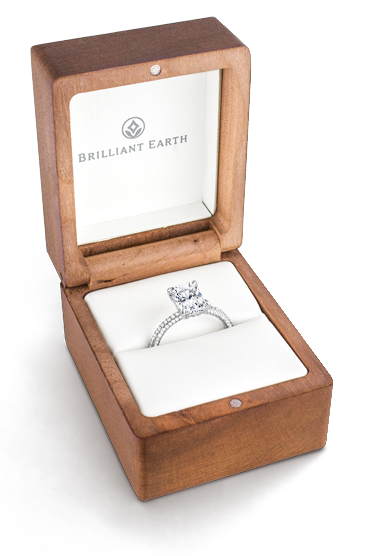 Brilliant Earth was very responsive as well and great with the delivery so I would recommend them for rings. I look forward to getting the matching wedding band too! 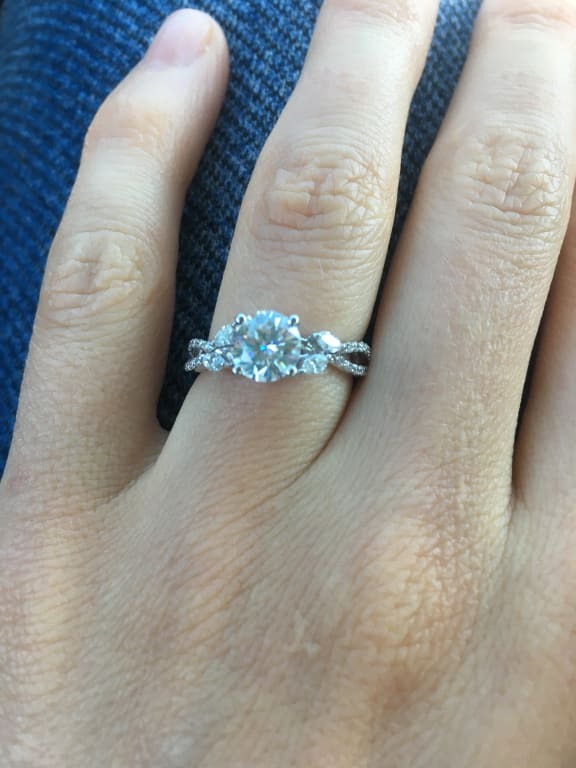 Absolutely gorgeous ring! Originally went with the Willow, but I wanted more sparkle so we exchanged it for Luxe Willow. And by the way- Brilliant Earth was very good and accommodating during the exchange. For the stone we picked 6.5 mm super premium moissanite and it looks absolutely stunning! 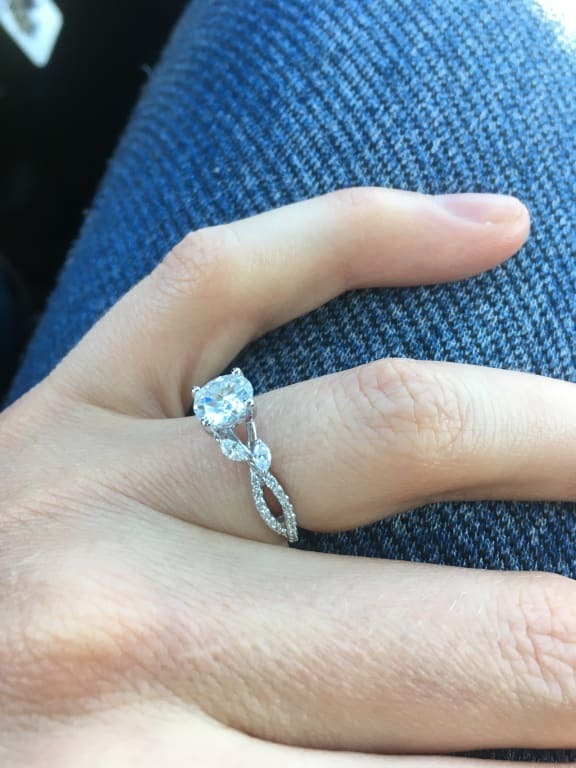 This was in my engagement ring for my fiancé. 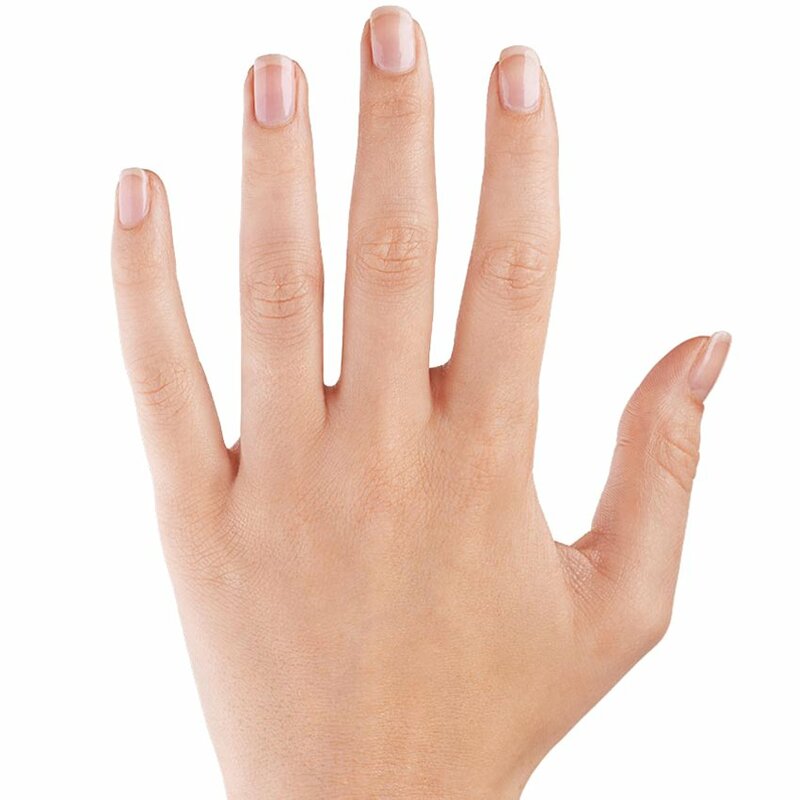 She absolutely loves the design and everyone that she is showing it to you has been over the moon about how beautiful of a ring it is.